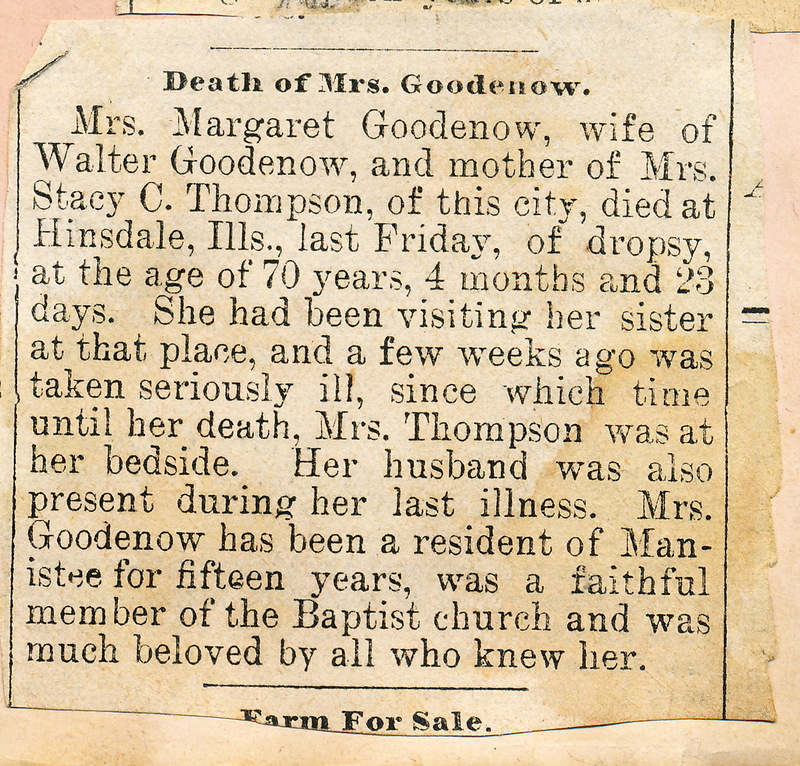 Stacy and Ida May returned to Manistee where they would live for the rest of their lives. 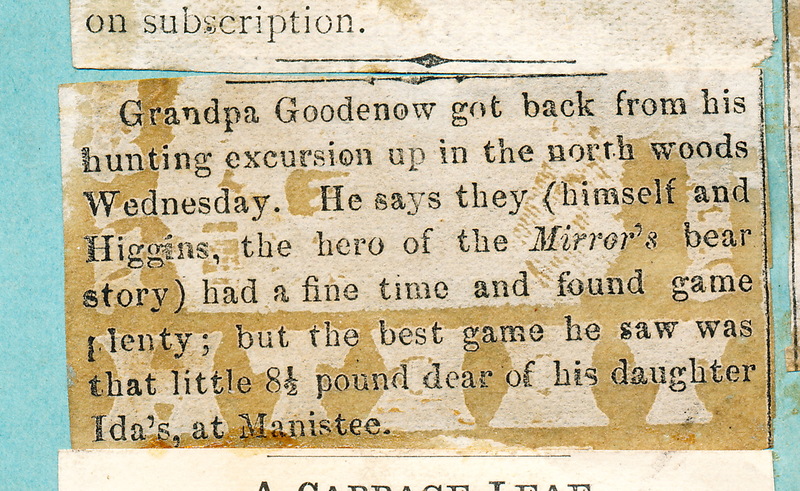 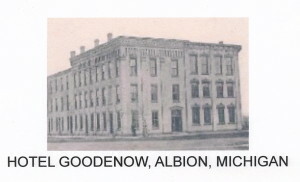 Shortly after Stacy and Ida May returned to Manistee, Ida May’s parents moved there also. 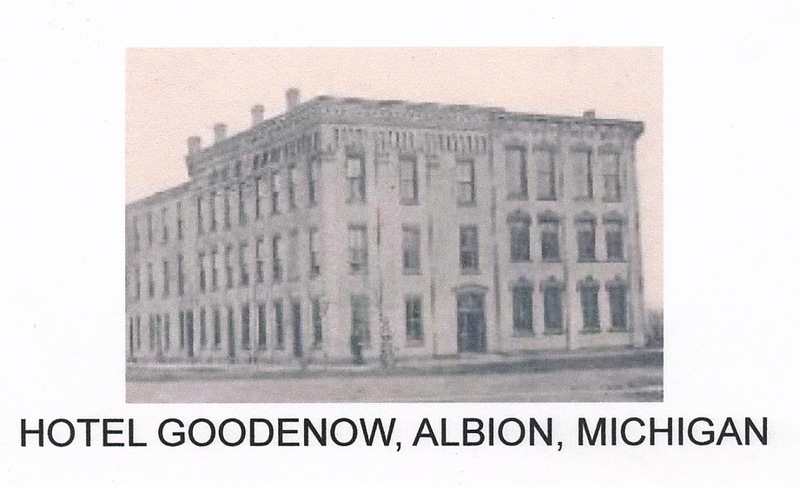 They sold their hotel in Albion, Michigan and moved to Manistee where they moved in with Stacy and Ida May. 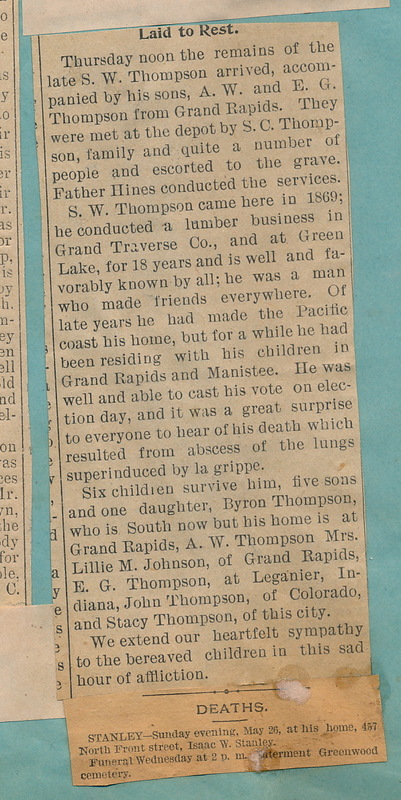 The 1880 United States Census has all of them living together in the same residence. 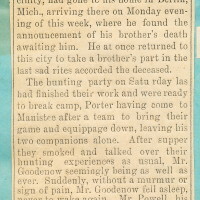 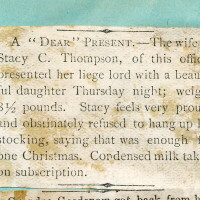 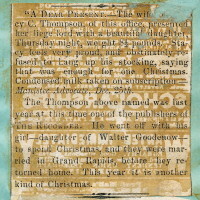 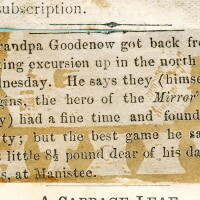 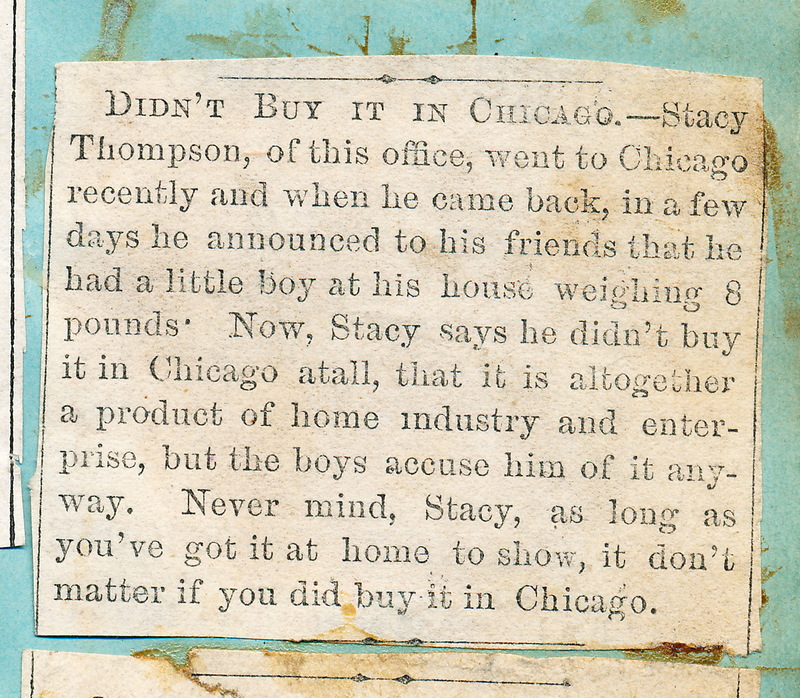 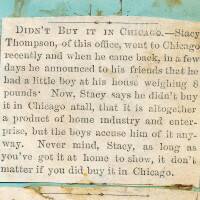 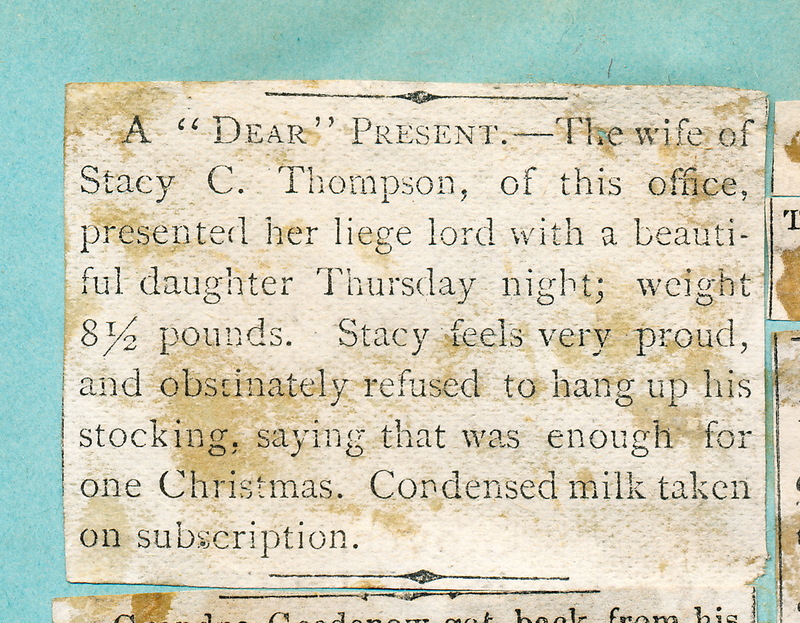 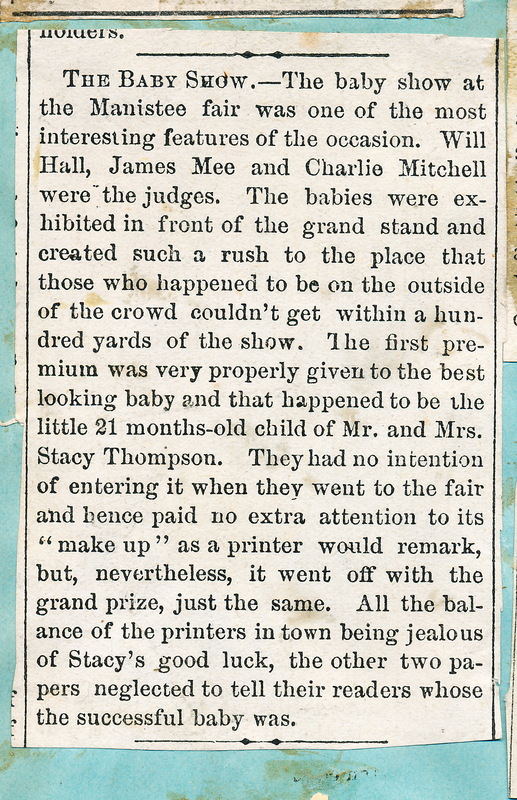 The first entries into the scrapbook concerned the arrival of Stacy and Ida May’s children. 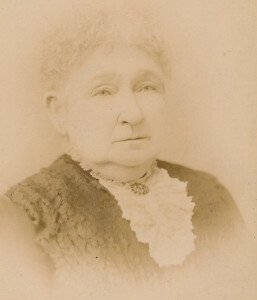 Claudia arrived in 1875. 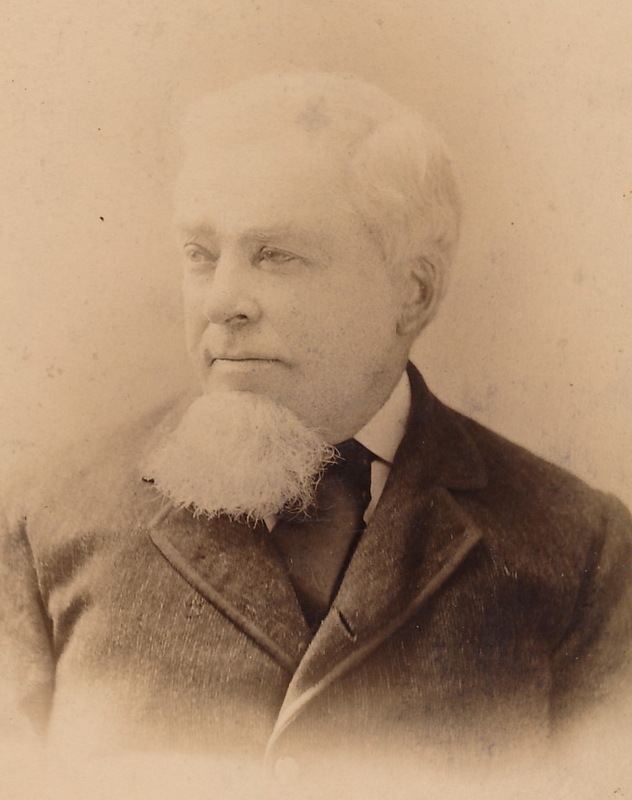 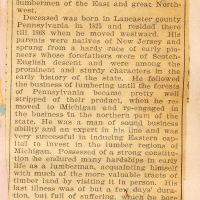 Walter Stacy arrived in 1877. 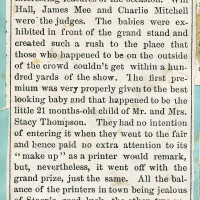 Bessie arrived in 1879. 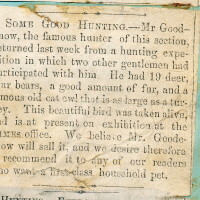 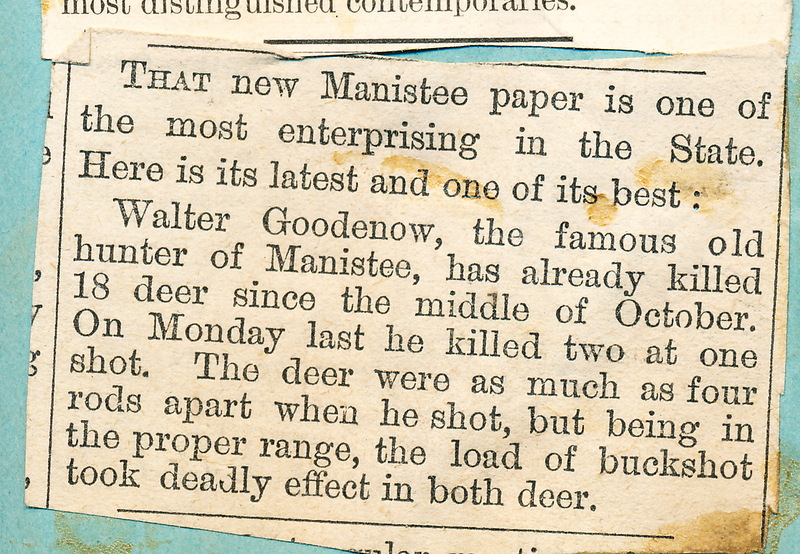 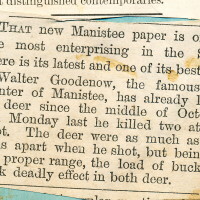 Other items of interest concerned the travels of the Goodenow’s, Walter Goodenow’s hunting exploits and Stacy’s travels to Chicago. 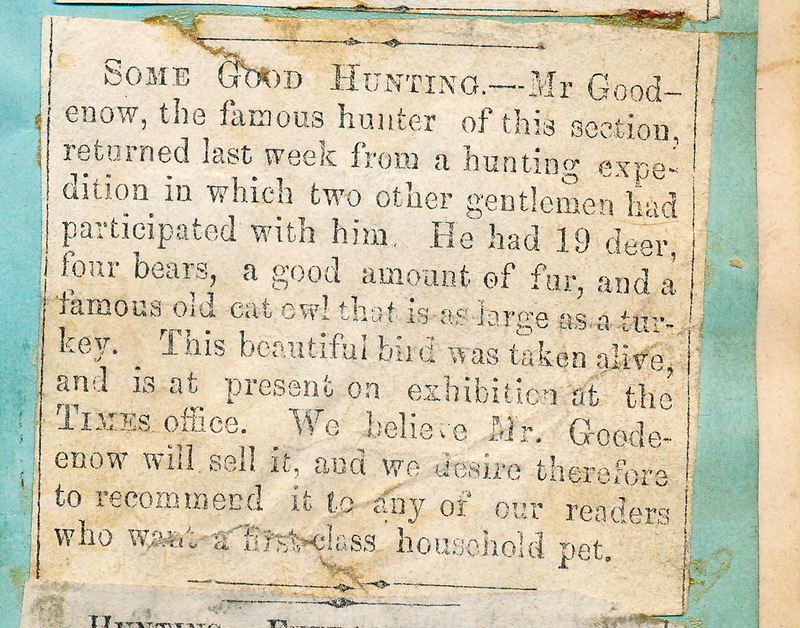 Good times rarely last long. 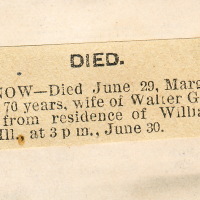 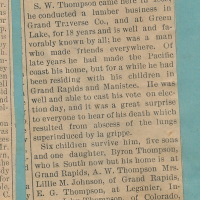 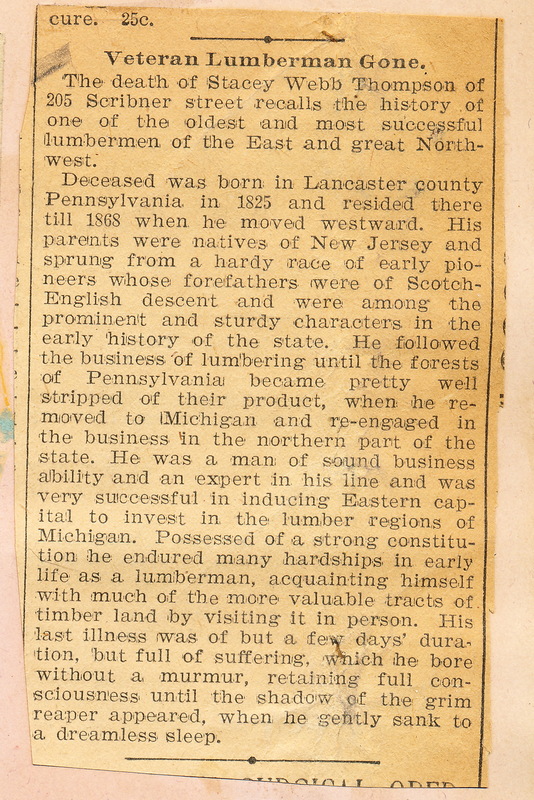 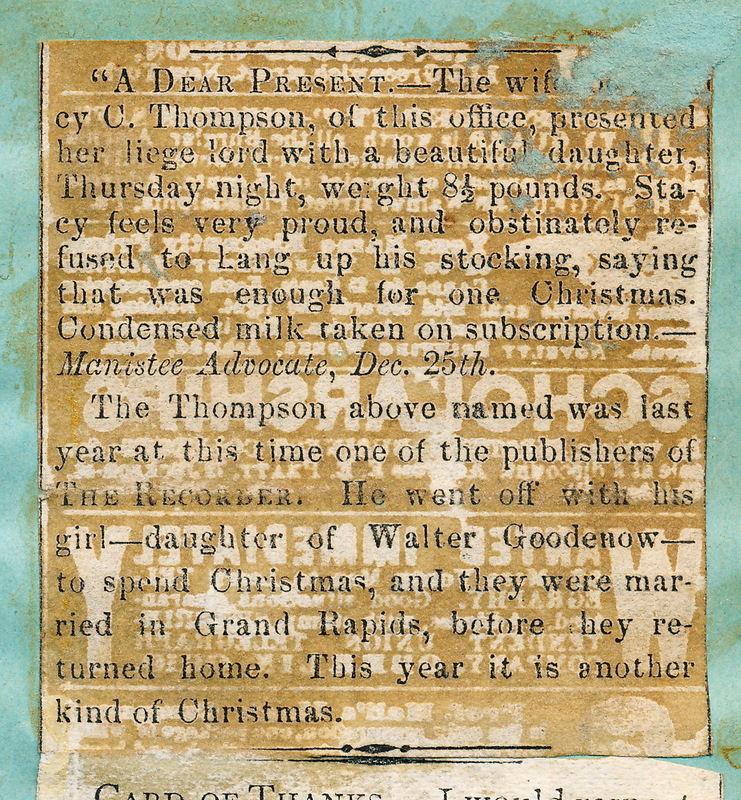 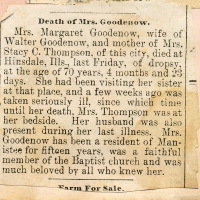 On the next page of Stacy’s Scrapbook begins the death notices of several members of the Thompson family, including Stacy’s father ands both of Ida May’s parents: Margaret and Walter Goodenow.